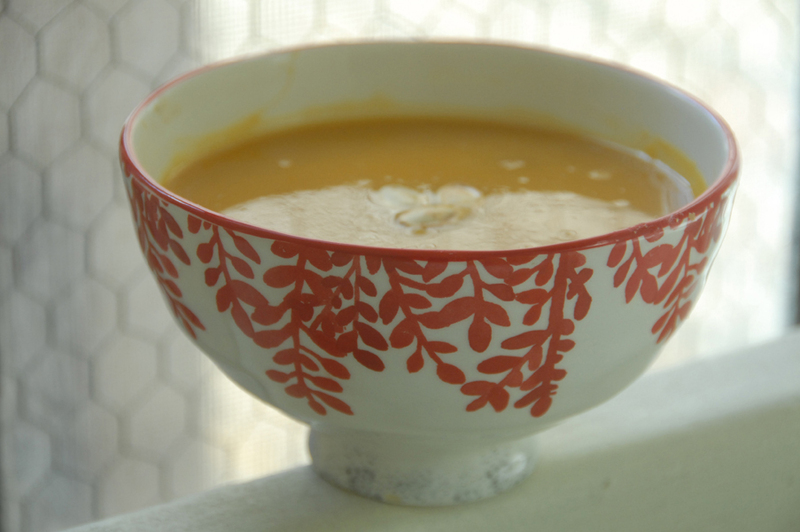 The classic Curried Butternut Soup from The Silver Palate Cookbook is one of the first soups I learned to prepare for my family. It's always been an autumn staple in my home. I crave it when the leaves start to turn the same way I crave tomatoes and corn in the summer. It's soothing, flavorful, and it's gluten-free, too. This recipe is adapted from The Silver Palate. In my version, the chicken stock has been replaced with vegetable stock and I've added a few more spices. Also, I used ghee instead of oil to saute the onions. Ghee is clarified butter and when used in moderation, it can lower cardiovascular risks, especially when used with a mostly plant based diet. It has a high cooking point, and it brings a bit of earthiness to the soup. I found some at Trader Joe's. It's also available at Indian cooking stores and of course, it's very easy to make. 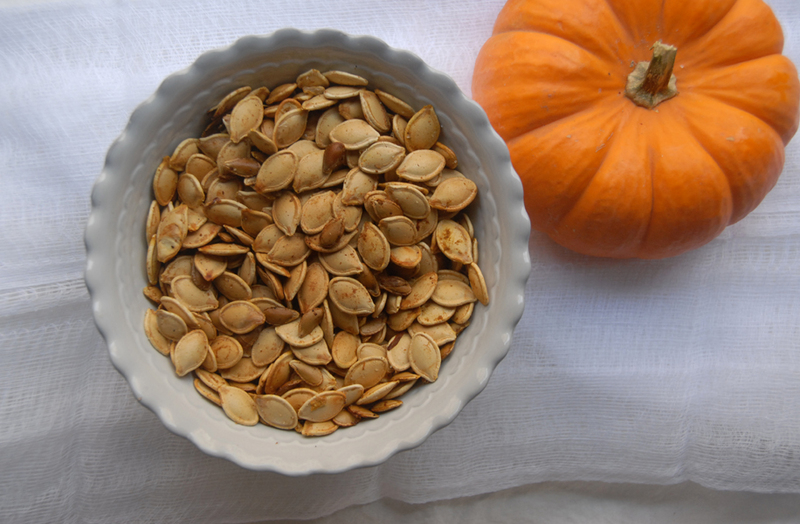 Save the seeds and roast them, along with any pumpkin seeds you have from your Halloween pumpkin, and use them as a snack or as a garnish for this warming soup. Cut the squash in half lengthwise. Scoop out the seeds and save them for roasting. Line a baking sheet with parchment paper. Brush some olive oil on the squash and place cut side down on the pan. Roast for about 35 minutes, or until tender. Cool, remove the skin and set aside. Meanwhile, melt the ghee in a soup pot. Add the chopped onions, curry powder, ginger, cumin, cayenne pepper and salt and cook, covered over low heat until the onions are tender, about 20 minutes. Stir occasionally. When the onions are soft and translucent, add the cooked squash, stock and apples and bring to a boil. Reduce the heat and simmer, partially covered until the apples are tender, about 20 minutes. Using an immersion blender, puree the soup. Add the apple juice and more vegetable stock, if necessary, and puree once more. Garnish with roasted pumpkin or squash seeds. Scoop the seeds out of the squash or pumpkin. Put the seeds in a colander and wash and pick out the membranes. Lightly dry the seeds and place them in a bowl. Toss the seeds with olive oil, salt and optional paprika. Roast the seeds for about 20 minutes on a parchment lined baking sheet until golden brown, flipping halfway through.